If all you have ever wished for is a 250 GB portable hard drive enclosed in a bulletproof, crushproof, waterproof and shockproof aluminium alloy enclosure; you’re in luck! 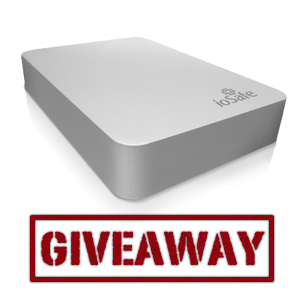 We just happen to have one lying around — it’s the recently released ioSafe Rugged Portable hard drive. Retailing for $150, this virtually indestructible portable USB 3.0 hard drive was the talk of CES ’11 in January. Like its desktop counterpart, the ioSafe Solo and SoloPro, the sole purpose of the Rugged Portable is to protect your data from incinerating external factors that would normally destroy regular hard drives. The Rugged Portable is definitely one of the safest ways to transport data. The Rugged Portable is available in 5400 and 7200 rpm HDD in 250 GB to 1 TB capacities. 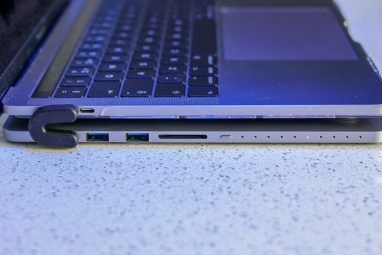 There is even also an SSD option available in 256-512 GB configurations that come in a titanium alloy enclosure. Both enclosures are crush resistant up to 5000 lbs (for the titanium model) and 2500 lbs (for the aluminium model). Interestingly, the drive is suspended in all six axes of motion within the enclosure, protecting it from up to 20′ drops. Full Metal Jacket Technology — CNC machined enclosure from a solid billet of aluminum (Al) or titanium (Ti) alloy. Crush resistant to up to 5000 lbs (Ti) and 2500 lbs (Al) yet weighs as little as a pound (Al). Full Suspension Drive Technology — Full suspension in all six axes of motion. Optimized for data loss protection from drop and shock of 20′ drops (SSD version) and 10′ drops (250-750 GB HDD versions, 1TB HDD requires optional drive skin) per MIL-STD-810G Method 516.5. HydroSafe Technology — Waterproof yet heat conducting barrier to protect against data loss in up to 10′ for 3 days in fresh water or salt water (aluminum version) or 30′ for 3 days (titanium version) per IP68. 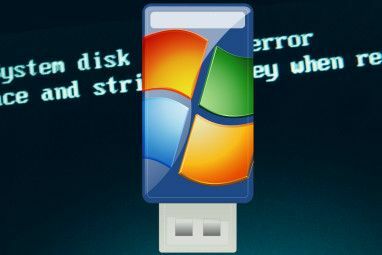 Protects data even when USB or FW plug is in. No requirement for a connector cap to retain data protection. EnviroSafe Technology — Continuous exposure to UV, blowing sand, blowing dust, rain, salt fog, icing or freezing rain, 24 hours with no data loss per MIL-STD-810G Methods 505.4, 506.4, 509.4 and 510. Genie Timeline Professional ($60 Value) award winning backup software. Simple, block level, open file and OS Continuous Data Protection (CDP) software for Windows users. Disaster recovery for entire hard drive including programs and settings, roll back and AES encryption features for the ultimate protection. Registration required at www.iosafe.com to validate purchase prior to downloading software and install code. TrueCrypt AES-256 Encryption Compatible3 – Open source, encryption software. FIPS 140-2, ISO/IEC 10118-3:2004. PC, Mac and Linux compatible. In the event that the ioSafe Rugged Portable is inflicted with physical damage, ioSafe provides a complimentary one time (1-year) professional Data Recovery Service (DRS) to help you recovery your data, not matter the reason (basically anything you can think if, even covers accidents and acts of God). ioSafe will retrieve your data, replace the device and send it back to you. However, this service is only limited to US residents. Considering to buy one for yourself? Head over to ioSafe and make your purchase. Put on facebook and twitter, great portable HDD fantastic for storing all your pictures and audio mp3 etc. nice giveaway. did those 2 things. count me in. I did it but wow I hate facebook sooooo bad this is the first time I have logged on for over a month never again unless you stop using facebook for this. Thanks MakeUseOf and ioSafe! This one's a blast! Good luck everyone! Disappointed that MakeUseOf has come up with this. Signed up for the contest and completed the requirements. This is a great product. Seen it advertised in the past many times, in many places.....it's given rave reviews each and every time. Good luck to all! Invaluable data storage product. Awesome giveaway.. Very interesting video. Would love to win this to store all my important files, documents, family videos & pics. Loved seeing the girl using the gun too! F*** Facebook, f*** Twitter and f*** YOU. Anyone who plays this turkey shoot (makeuseof in bed with facebook and twitter, stroking each other under the sheets and blasting YOU the reader- consumer up the a**!!) deserves to have your everything keystroke read 50 years from now by some squirel brained, mutant, irradiated child shivering in a corner with his quantum computer doing a genealogy search for his GRANDPAPPY because he longs for the days before the quantum chips and the nuclear holocaust!!! Yeah!! I would love to play for this swell unbreakable xternal drive BUT NOT WHILE BEING LED WITH A RING IN MY NOSE LIKE A PIG TO SLAUGHTER!! EXCUSE ME? I prefer to keep my identity for my own uses and not give it away via social networking sites to be profiteered from like dirty laundry hanging on the clothes line for all the neighborhood kiddies to laugh at then steal to resell and trade for marbles!!! I want to write for Charlie Sheen the GRAND MASTER! Interesting outburst! So you are angry that you are not getting this stuff easy and FREE? Obviously, who would give away an expensive gadget just like that? You and I and every one else has a million in one chance to get this product, since the poor guys only have one piece available for all the netizens! And that too after we have divulged all our details. As for me, I am not even qualified to contest, since I belong to India, because my country in "embargoed" by the great US of A, whatever that means. These guys should stick to giving away free software only. Even that has an issue...they come with a one time license to be authenticated from their website with a one time password. So if your HDD crashes, or you want to install the stuff in another PC, no way. Of course, by that time you may have used the software for quite some time and got familiar with it, even started liking it a lot; all your data and customization goes down the drain! Anyway, hats off to your feelings and anger! The US embargo of India ended in 2008. Another great contest - I hope I win! Being a video editor, I need all the portable drives I can get my hands on. Keepin' my fingers crossed. I love my IOSafe drive and would love a portable one. Had to refresh the page before I could enter my email address. What about those who don't believe in Facebook ? Do you believe in Twitter? If the answer is affirmative, I'd be afraid to ask what those belief's would be based on.